We know packing (and unpacking) is often times the worst part of moving. 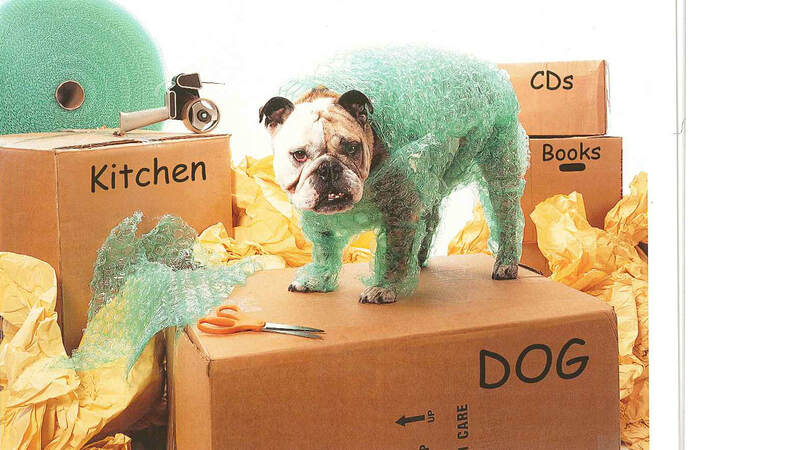 Therefore, Scranton Moving offers a complete line of packing services to ease your efforts. We offer the complete spectrum of packing services to meet a variety of needs: from complete packing and unpacking all the way to simply providing you with packing materials. Whatever your requirements, Scranton Moving can assist you with this arduous moving task. · Platinum Service Packing – Complete turnkey packing service. We pack and unpack your entire house or office using our proprietary methods and the best packing materials. Your only requirement is to provide us with guidance on how you would like rooms organized and how/where to unpack/set-up. · Gold Service Packing – We will assist your packing efforts as little or as much as you like. It could be to pack one room while you do another, to assist you with each room, or any combination of the two. · Silver Service Packing – For the do-it-yourselver, we offer packing materials for those who want to pack themselves. This will include boxes (all sizes, to include wardrobe), tape, labels, markers, and bubble wrap. This guide will assist you if you chose to pack your own items. When you pack, please consider the layout of your new residence so that you organize your packing and items in a logical manner consistent with the rooms they will occupy. This will make unpacking much more efficient. Below is a guide to knowing and using the correct packing material. The use of correct material will help prevent damage to your items during moving. Book cartons (1-2 cubic feet) are small, easy to handle cartons designed for heavy items like books, CDs, and DVDs. Be sure not to overload the carton, as it may become too heavy for handling. Medium cartons (3-4 cubic feet) have a variety of uses for smaller items in your residence. These boxes are ideal for tools, pantry food, clothing, and small appliances. Remember, packing similar items together based on room destination will make unpacking easier. Large cartons (4-6 cubic feet) are great for packing lightweight but bulky items such as blankets, pillows, toys, etc. Upright Cartons are for lamps, statues and other items that require a more upright size. Dish-packs are double walled cartons for fragile items such as dishes, glasses, and china figurines. The cartons are marked so that they are not accidentally turned upside down. Mirror/Picture Cartons are uniquely designed telescoping boxes that fit mirrors, pictures and glass tabletops more precisely than ordinary boxes. Each carton has strong braces that reinforce the corners. Wardrobe Boxes are essentially mobile closets with metal bars at the top for hanging all your closet clothing. Your clothes remain on hangers so that they stay clean and wrinkle-free. Moving or Packing Paper should be print-free and used for wrapping and padding. Use of newspaper is to be avoided. Bubble Wrap is used to provide extra padding beyond packing paper. ShrinkWrap is used to hold items together as well and provide assistance against dirt when moving. Labels are needed and used for labeling all boxes, containers, and other packaging for easy unpacking.